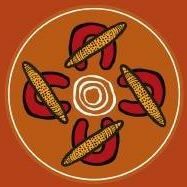 In 1966, of the Council of Aboriginal Women of South Australia was established in order to improve the socio-economic position of South Australian Aboriginal people. Gladys Elphick was the Council’s first President and worked tirelessly alongside many influential Aboriginal women, ‘trailblazers’ such as Betty Watson, Margaret Lawrie, Maude Tongerie, Lowitja O’Donoghue and Faith Thomas to name a few in order to establish vital services within the community. The influences of these women lead to the establishment of Nunkuwarrin Yunti, Tauondi College, and the Aboriginal Legal Rights Movement.